The site has individual 2yo summary pages for all of the horses that are declared to run each season. These pages include pedigree information which is presented as a table at the bottom of these individual horse pages. The following table is an example. The number of previous foals that the dam has produced. In this case this is the dam Alzianah's seventh foal and summaries of her previous six offspring follow. Relation of the current 2yo to the previous foals, in this case the latest foal is a half brother to the previous produce in that he has the same dam but a different sire to any of them. If he were a full brother then this would be denoted by "Full to :-". Occasionally the table will include "Closely related to :-" which is used for relationships closer than half brothers, for example if the dam has visited sires who are father and son (Sadler's Wells and In The Wings would fit this category). The bullet point list then gives racing performance summaries of the previous foals. 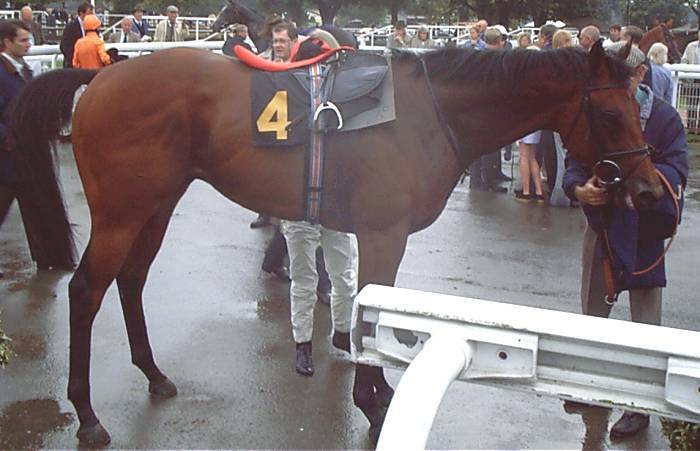 The name of the horse is in bold and if it is underlined then there is a link to a photograph of the horse. In the table above there are links to photos of both Desperate Dan and Flying Dancer. The horse performance summary is split into two parts. The text before the name summarises the racing performance at 2yo, and later years if applicable, and the distances over which those performances have been achieved. In this case Waffles Of Amin was a winner over 5f on the all-weather as a 2yo and Leozian won over 5f at 2yo and at older ages. Note that the phrase "5f 2yo" in this context implies a winner over 5f as a 2yo. If a runner has not been a winner at a certain age then one of the abbreviations unp (unplaced), plcd (placed) or unr (unraced) will precede the distance and age. In the example above Voluptuous ran over 6 to 7 furlongs as a 2yo but was unplaced, then won over 6f as a 3yo. The text after the horse name starts with the horse's yearling sales price if applicable (Leozian cost 23,000gns as a yearling). The ratings achieved (B2yoR estimates) in each season are then given ("rated" is abbreviated to "rtd"). For example Waffles of Amin was rated 75 at 2yo and Leozian 85. Patientes Virtis was rated 30 at 2yo and 60 at 3yo. The ratings figures may be followed by later sale price information. In this case Flying Dancer cost 58,000gns as a yearling, was placed over 6f as a 2yo rating 64 and was then sold at the Horses In Training sales for 16,500gns at the end of his 2yo career. At the bottom of this section the race performance is given for the dam. Here Alzianah won over 5-6f as a 2yo rating 85 and then won over 6f as a 3yo rating 88. If the dam is related to Group winners then this will also be noted after her performance summary. 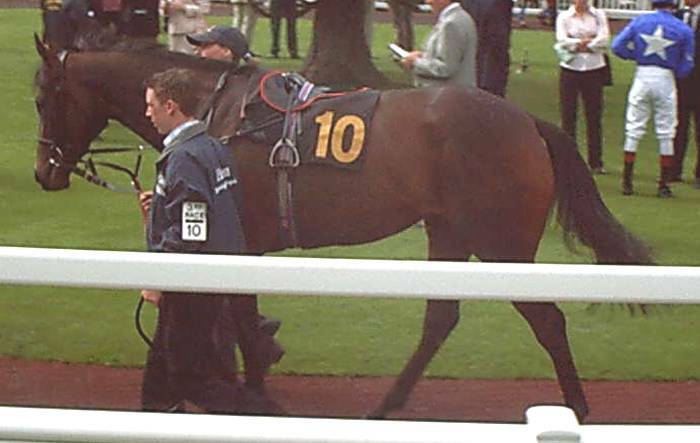 In this case the table notes she is a half sister to a fictional Group 2 winner called Hasty Example. Note that "Gp" is used to denote Group winners in the major european countries whereas "Gr", as in Gr1 etc., is used to denote a Graded level winner in North America and the Southern Hemisphere (Argentina, South Africa, Austalia, etc.). Graded races are the equivalent to the Group race categorisations used in Europe. The information in the "Foal Years" part gives the year (shortened to two figures, 99 = 1999, 00 = 2000, etc) that each foal was born in. So Waffles of Amin was Alzianah's first foal in 1997, Leozian her second in 1998 and so on. This information is particularly useful in assessing how a broodmare's career is progressing. For example an old dam may have produced 10 or more foals and one of these may have been a notable winner. It would then be common to read in the racing press that a 2yo making it's debut was related to the notable runner - but what use is that information? If the dam produced the notable runner as her first foal more than ten years ago and has produced moderate runners more recently then relating the latest runner to the notable runner is clearly misleading. As a general rule if you look through the dams in this website or in a sales catalogue you will find it is common for a dam's career to 'tail off' after producing better runners among her earliest foals. The "General Notes" section is used to present any other information relevant to the current year's 2yo's breeding and sales performance. It is most commonly used to present information about sales prior to the most recent sale which is given in a different table at the top of the individual page for the 2yo. In this case the 2yo was sold for €14,000 (euros, normally indicating a sales in Ireland, or sometimes France) as a foal.